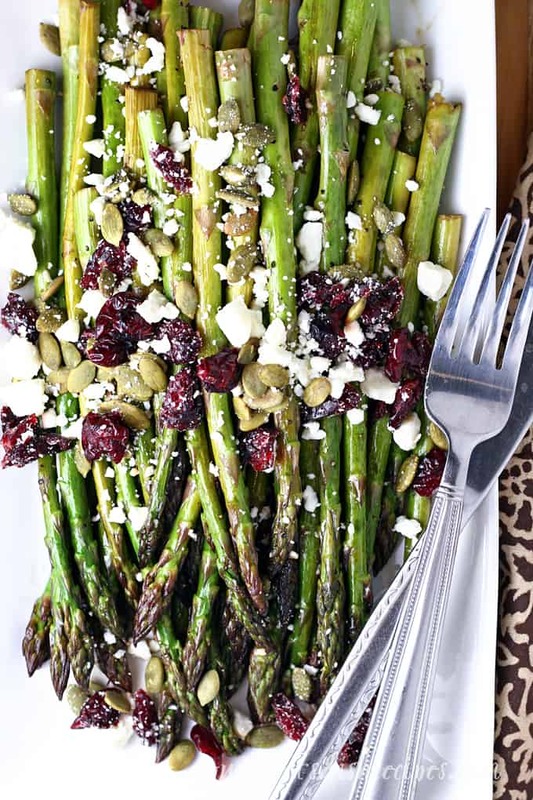 MAPLE BALSAMIC ROASTED ASPARAGUS WITH CRANBERRIES AND FETA — Fresh asparagus is tossed with balsamic vinegar and maple syrup, roasted until crisp-tender, then topped with feta cheese, dried cranberries and pumpkin seeds. Asparagus is one of my favorite vegetables, and this Maple Balsamic Roasted Asparagus with Cranberries and Feta is perfect for serving alongside any meal this holiday season. First, I think asparagus is simply delicious. Second, I love that it’s so easy to prepare. Now matter how you make it, it’s a side dish you can almost always have on the table in 10-15 minutes. And since my whole family eats their veggies without complaining when I serve asparagus, it’s something you’ll see on my dinner table often. So I’m always looking for new ways to prepare this healthy vegetable. With a sweet and savory balsamic vinegar and maple glaze, and the addition of cranberries, feta and pumpkin seeds, this version of asparagus is fancy enough to serve with your Thanksgiving turkey or Christmas ham. This is exactly the kind of easy but elegant side dish I look for when I’m planning a holiday menu. Something that won’t leave me stuck in the kitchen all day! The sweet, chewy cranberries and crunchy pumpkin seeds add great texture and flavor to the roasted asparagus. And great holiday color too! 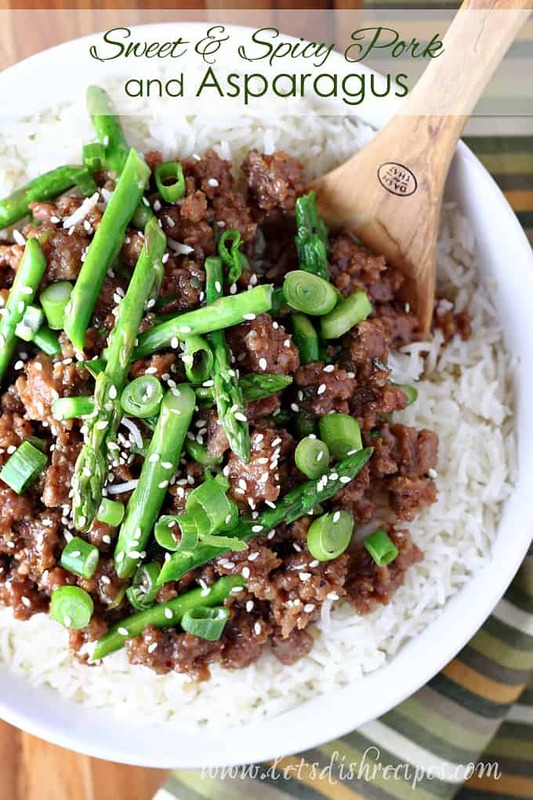 And although I haven’t tried it yet, I think this recipe would work equally well with green beans. 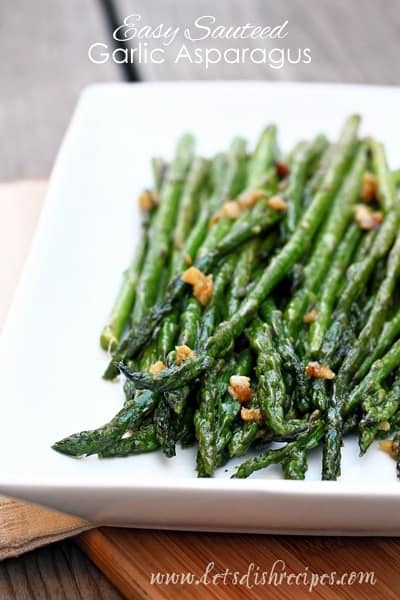 You’ll definitely want to add this simple and delicious asparagus dish to your menu this holiday season! 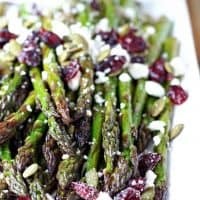 Be sure to save this recipe for Maple Balsamic Roasted Asparagus with Cranberries and Feta to your favorite Pinterest board for later. 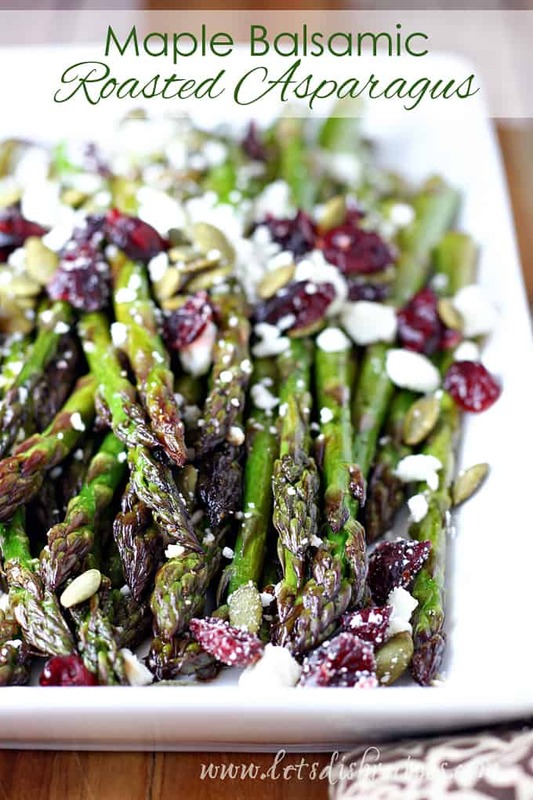 Fresh asparagus is tossed with balsamic vinegar and maple syrup, roasted until crisp-tender, then topped with feta cheese, dried cranberries and pumpkin seeds. Preheat oven to 450 degrees. Line a baking sheet with parchment paper or foil and spray with non-stick cooking spray. In a small bowl, whisk together olive oil, balsamic vinegar and maple syrup. Arrange asparagus on prepared pan in a single layer. Season with salt and pepper, to taste. Drizzle with vinegar and syrup mixture and toss lightly to coat. Roast until crisp-tender, 7-10 minutes. Meanwhile, toss feta, cranberries and pumpkin seeds together in a small bowl. 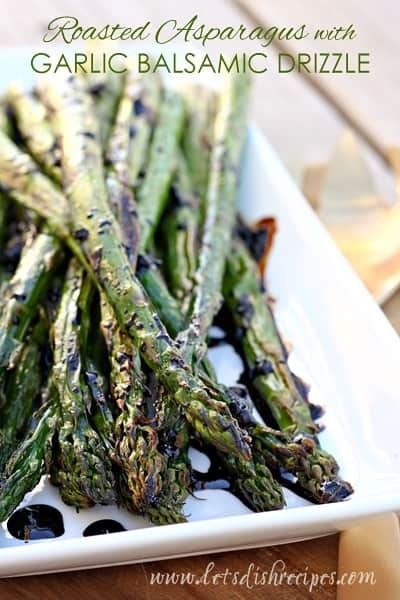 Remove asparagus from oven and toss again to coat with balsamic mixture. Arrange on a platter and sprinkle with feta and cranberry mixture. Serve immediately.